Second-quarter gross domestic product (GDP) figures revealed yesterday by the Turkish Statistics Institute (TurkStat) confirmed the worries of those who were defending the risk for the Turkish economy to be trapped in a low-growth regime. Readers of this column know that I am one of them. In my column of July 1, “The unpleasant growth perspectives,” following the GDP figures of the first quarter, I wrote that “the Turkish economy is obviously facing a deceleration of growth.” On a yearly basis the Turkish economy grew by 3.3 percent in the first quarter and only 2.9 in the second. So, the growth rate for the first half of the year reached only 3.1 percent. It should be noted that this is almost 1 percentage point behind the 4 percent forecast in the Medium Term Program for 2012. Realizing 4 percent for the whole year would require nearly 5 percent growth in the second half. Is this possible? Answering this, we need to look more closely at the composition of GDP changes. Private consumption, which comprises the largest share of the GDP with 70 percent, decreased by 0.5 percent and private investment by almost 8 percent. The public sector grew only by 2.1 percent witnessing the pursuit of fiscal discipline. So, the contribution of domestic demand to growth was largely negative. The unique source of growth in the second quarter was net exports. Indeed, exports increased nearly by 20 percent, while imports decreased by 3.6 percent from year to year. Therefore, the contribution of net exports to growth has been 5.7 percentage points, which is a strong indicator of the ongoing adjustment process. The fact that exports of goods and services could continue despite the sluggish European economy, still comprising more than 40 percent of the Turkish export market, has to be considered a small miracle. Needless to say, there is no miracle in economics and the increase in exports is due to a successful diversification of Turkish exports during recent years. Exports to the Middle East, in particular to Iraq, to North Africa, as well as to Russia, are still growing. It should be underlined that since four quarters the Turkish economic growth is driven by net exports. This has been desired and planned by the economic governance, including mainly the Treasury, Ministry of Finance and The Central Bank. The domestic-led growth of the recent past has been astonishingly high but clearly unsustainable. Remember, in the first half of 2011 the current account deficit ratio to GDP reached more than 10 percent, a historical record for Turkey and in the same time one of the highest ratio in the world. Now, the current account deficit ratio has decreased to 8.3 percent. But this level is still high given the economic criteria. Indeed, the recent OECD report estimated the sustainable current account ratio for the Turkish economy between 3 and 6 percent of the GDP. Even taking the maximum rate, it is obvious that the adjustment process must be continued. Here emerges the classic dilemma of the political economy: As 3 percent growth is not enough to get the quite high unemployment under control -- I am expecting a moderate increase in unemployment very soon -- does Turkey quit the adjustment policies by loosening both monetary and fiscal policies in order to boost domestic demand, or does it persevere on its adjustment policies and accept for some time increasing unemployment? Economic theory and experience show that in the first case the growth rate can be increased parallel to a recovery in domestic demand, but this increase risks being more or less ephemeral, given the state of the economy. In the second case, the adjustment can be successfully completed but the incumbent party can lose the upcoming elections. We do not know yet how this dilemma would be solved in the Turkish case. The pressures in the direction of loosening are already visible; commenting on the growth figures, Economy Minister Zafer Çağlayan said that “the brakes have started to burn.” Do not forget that the local elections will be held within a year as they will be advanced very soon by the National Assembly. I am not sure that Erdoğan would accept risking Justice and Development Party (AK Party) votes being decreased since the local elections will be followed a year later by the presidential one in which Erdoğan would like to be elected by a comfortable majority in the first round. 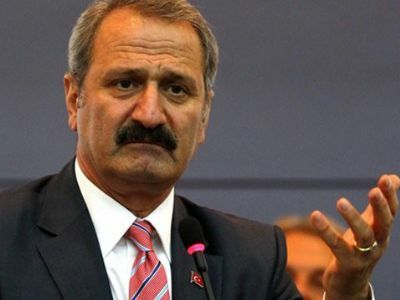 So, Çağlayan’s warning can be seriously considered by the prime minister. I admit that there is a serious risk of abandoning the adjustment process too early, but I prefer to keep my optimism. Saving the adjustment policies, the Turkish troika -- Ali Babacan, boss of the economic governance, Mehmet Şimşek, minister of finance and Governor Erdem Başçı -- have to convince Erdoğan that if the monetary and fiscal policies are loosened right now, there will be a serious risk that the outcome would not be exactly what is expected. Changes in the policies, after a short period of happiness, will worsen the fundamentals such as a budget deficit, inflation via the exchange rate depreciation and a current account deficit that will start to rise again. Needless to say, the growth rate would fall following these events, so unemployment would be worse off. Not easy to decide for the great referee!